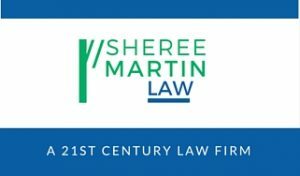 Before emailing Sheree Martin Law please review the Disclaimers page for details about non-confidential information, conflicts checks and other matters. In-person meetings for established clients are available by appointment in accordance with the written engagement letter. The initial consultation with prospective clients will be conducted by telephone, Skype or other virtual meeting technology after receipt of basic information to allow for a preliminary conflicts check. The content I share on this Twitter account is primarily focused on entrepreneurship, strategic communication, marketing, health, environment, sustainability, productivity and lifestyle topics. I sometimes share news updates from the U.S. Supreme Court or developments in media law. This Instagram account is where I share photos and graphics that are (mainly) success quotes, nature-related or updates about my podcasts.